Two sets of bingo cards. 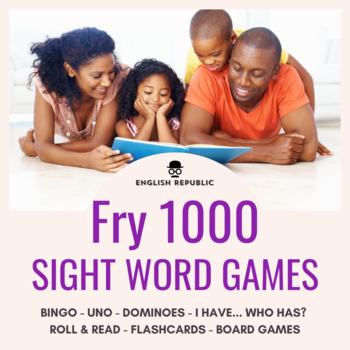 Each set practices half of the first hundred sight words. There are 50 bingo cards per set, more than enough for your entire class, and they come in color or black and white. 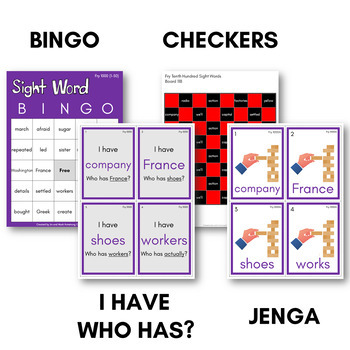 Caller cards and bingo markers are also included. Ten sets of domino cards. 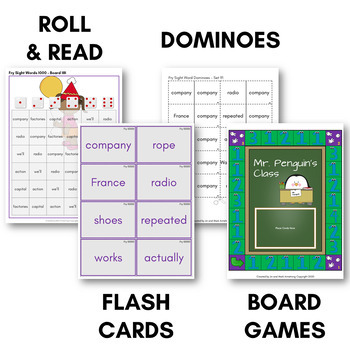 Each set practices ten sight words and has 100 domino pieces. The different sets are clearly labeled so they are easy to keep in order. This is a great game for groups of 2 to 6 children. Instructions to play are included. A dozen checker boards. Play checkers and read sight words at the same time! If you don't have your own game pieces, they are included too. Twenty Roll & Read game boards. Roll the dice and color the sight words. Each board is available in color or black and white. 5. I Have... Who Has? --- NEW!!! A complete set of I have... Who has...? cards in color or black and white. Ten decks of UNO cards. Players race around the game board trying to collect sight word cards. If you're not careful you can lose your cards to the other players! 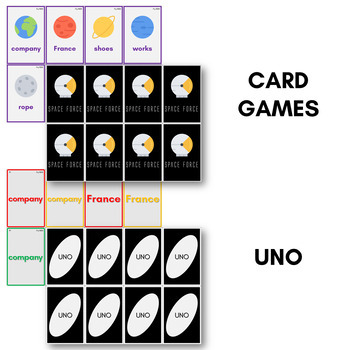 When all the cards have been collected, the game is over and the player with the most cards wins. Players roll dice to advance along the game board while reading sight words. The first to reach the end is the winner.